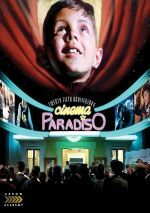 Best-known as the voice of Bart Simpson, Nancy Cartwright takes on a different role as co-writer of 2017�s live-action drama In Search of Fellini. Set in small town Ohio circa 1993, Claire Cunningham (Maria Bello) over-shelters her daughter Lucy (Ksenia Solo) from negative aspects of the outside world. This leaves Lucy with an active internal life, one she feeds via her obsession with movies. She also ends up with few real-world skills, a factor that becomes a problem when Claire comes down with a terminal illness and Lucy needs to prepare for life on her own. As Lucy attempts to find a job, she happens upon a film festival that emphasizes the works of Federico Fellini. Instantly smitten, she decides to head to Italy to pursue her filmmaking idol, an adventure that vastly broadens her horizons. Despite a contrived premise based on the extremes to which Claire shelters Lucy, Search starts out pretty well. It musters a good comedic energy and manages entertainment for its first act. The actors help, as they provide solid performances. Almost 30 during the shoot, Solo looks way too old to play 20, but she brings enough charm to the part to let me largely ignore her age. Solo manages to make Lucy quirky but not excessively precious, which works well. Claire probably should come across as an obsessive freak � closer to Mrs. White from Carrie than a likeable movie mom � but she adds warmth. In addition, Mary Lynn Rajskub delivers a much-needed barbed edge to the film via her turn as Claire�s sister. The combination of talented actors and intriguing premise does enough to make the movie�s opening reasonably engaging. However, once Lucy heads to Italy, the story goes down a less workable path. Search wants to marry �coming of age� drama with the world of Fellini, as the film often places Lucy in Fellini-esque circumstances. These stabs feel self-conscious and not especially effective. It doesn�t help that Lucy fails to develop into an especially interesting character. Once she matures and becomes more of a �real girl�, she loses all real personality and lacks much to intrigue the viewer. These factors make Search a bit of a slog. The movie still musters spurts of engaging drama but too much of it falls flat. These leave it as an inconsistent tale. 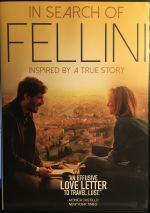 In Search of Fellini appears in an aspect ratio of approximately 2.35:1 on this single-sided, double-layered DVD; the image has been enhanced for 16X9 televisions. Within the parameters of SD-DVD, this became a mostly solid presentation. As long as I considered those constraints, sharpness looked fine. Inevitably some softness impacted wider shots, but most of the film offered decent accuracy and definition. Jagged edges and shimmering weren�t a problem, and I saw no print flaws. Edge haloes also failed to interfere. Colors emphasized teal and amber, with some other stylized hues involved as well. These choices felt less than exciting, but the DVD represented them adequately. Blacks provided reasonable depth, while shadows appeared fairly smooth. Ultimately, the image worked fine for its format. Don�t expect fireworks from the film�s Dolby Digital 5.1 soundtrack, as we got a mix heavy on a dialogue. Music and effects did broaden horizons in a reasonable manner, though, so they added some pep to the track, especially when the movie wanted to �go surreal� ala Fellini. Audio quality was fine. Speech seemed natural and concise, and the score demonstrated pretty good vivacity. Effects did little to tax my system but they were clear and accurate enough. Overall, this ended up as a decent mix for a dialogue-heavy movie. Among extras, we get an audio commentary from director Taron Lexton and co-writer Nancy Cartwright. Both sit together for this running, screen-specific look at Cartwright�s life experiences and her adaptation of these events into the film�s fiction, sets and locations, story and characters, cast and performances, visual design, cinematography and costumes, and related topics. This becomes an engaging chat, especially when Cartwright discusses the autobiographical elements in the film. Other filmmaking moments get good attention as well and allow this to turn into a useful conversation. A Behind the Scenes Featurette runs eight minutes, 38 seconds and provides notes from Cartwright, Lexton, writer Peter Kjennas, producers Milena Ferreira, Monica Gil, Michael Doven and Nathan Lorch, production designer Todd Jeffery, director of photography Kevin Garrison,and actors Ksenia Solo, Maria Bello, Enrico Oetiker, and Mary Lynn Rajskub. We learn of the project�s origins, story/characters, cast and performances, locations, and design. Though we get a few decent notes, the program mainly remains promotional, so don�t expect much substance. The disc includes trailers for Fellini and This Beautiful Fantastic. Due to the efforts of a talented cast, In Search of Fellini musters occasional bouts of entertainment. However, it lacks engaging character development and seems too inconsistent to fully succeed. The DVD offers generally positive picture and audio along with a good commentary. Search winds up as a watchable but erratic tale.